The Model 5400 Series is a successor to the Model 3440, with enhanced basic capabilities. The appearance is similar to the conventional MFC. The sensor drive system is improved: the zero-drift is further reduced and the re-sponse in the lower range is improved. 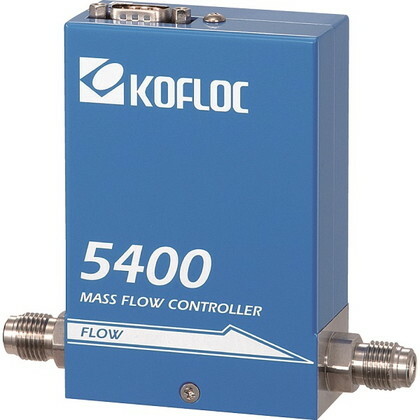 The Model 5410 Series is a mass flow meter with the same body design as that of the 5400 Series. ・ Control and response in each setting range are improved. ・ The following capability to the set voltage is improved (support-ing ramping specifications). ・ As the valve is improved, the control resolution in each range is improved.